We're proud to announce the third generation of the company’s high-performance CS Series in-wall/in-ceiling speakers. Models feature a new ABS Baffle with high-strength ABS clamps replacing the polymer mounting brackets of the previous generation . Not only does the new system make installation a snap, it significantly cuts down on install time, a boon for installers. The lineup also provides a minimalist bezel - free aesthetic, a winning aspect with customers. 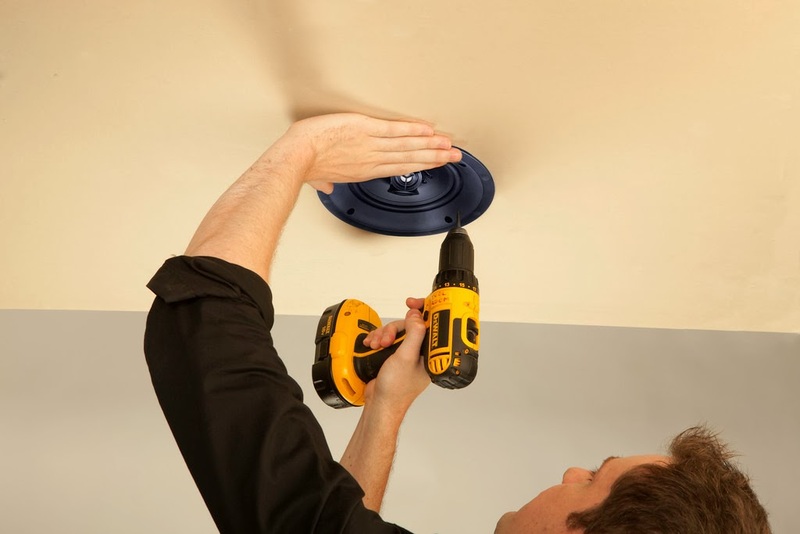 “The new ABS mounting system makes things so simple you can probably install a speaker with one hand, although we are not promoting that, it simply illustrates how simplified the new CS Series install is for dealers . In fact, we have plans to initiate the new clamping system throughout our custom lineups over time ,” says Mark Aling , Senior Director of Marketing for Paradigm. While a speaker in a wall or ceiling is aesthetically pleasing, acoustically it remains less than ideal. Walls and ceilings pose unique challenges. The panel in which the speaker is installed represents an infinite baffle and the inherent flexibility of the wall or ceiling must be addressed . In this new series, a black ABS baffle replaces the original polymer bracket and chassis combination. ABS was chosen for its inherent strength and the ability to provide the necessary amount of flex during installation. 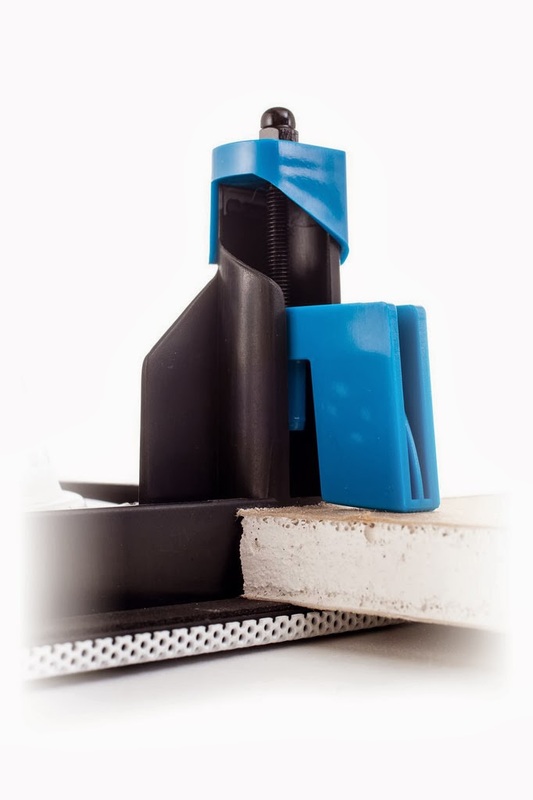 The ABS clamps are designed with a slight degree of slope and ribbed for better grip within the framework of wall or ceiling. Pocketed screw holes in the flange hold the drill steady , making the installer’s job easier. A slight slope in the baffle flange prevents unsightly gaps once the speaker is installed with the grille on, ensuring a seamless aesthetic. The final touch — high - strength neodymium magnets hold the speaker grille securely . Since masking is no longer involved the grilles are not only easier to paint ( if painting is desired), but painting time is also reduced. “CEA research shows the number of new homes being pre-wired for dedicated home theater is increasing. There are many benefits to having a custom home theater at home: no crowds to contend with, no lineups, no uncomfortable seats, movies on demand in the comfort of home. Home theaters can bring families or friends together for movie nights. Speakers in an in-wall/in-ceiling configuration take up no space in a home theater room where space is at a premium or where a minimum aesthetic is desired. The trend indicates that home theaters have made the transition from luxury to standard option and Paradigm is positioned to help dealers and their customers benefit. Our wide custom selection is simply unrivaled, we offer superb incentives to dealers selling Paradigm CI and we’re making it easier all the time for them to install our offering s . In turn, our dealers’ customers are getting unparalleled sound quality at a fantastic price. Our custom speakers boast the same well-engineered drivers found in our freestanding speakers.” said Mr. Aling. Speakers feature pure-titanium dome tweeters and mineral-filled polypropylene bass/midrange cones. Crossovers are 2nd and 3rd-order electro-acoustic, optimized for a smooth transition between drivers, on and off axis . Full technical specifications remain as per series v.2. Click here! to learn more about the new CS v.3 Series.